University. He lives in Los Angeles where he is a freelance musician performing on clarinet, saxophone and flute. He has performed and recorded with jazz groups led by Clare Fischer, Warne Marsh, Lee Konitz, Cal Tjader, Shelly Manne, Moacir Santos, Poncho Sanchez, Jimmy Rowles, Alan Broadbent, Jimmy Knepper, Mark Masters, Sammy Nestico, David Sills, Pete Christlieb, Oliver Lake, Putter Smith, Larry Koonse and Bill Dobbins. Gary may be heard on Toni Tennilles MORE THAN YOU KNOW and ALL OF ME; on the BROADWAY, BACK TO BROADWAY, IN CONCERT, HIGHER GROUND, TIMELESS and THE MOVIE ALBUM recordings of Barbra Streisand; Mel Tormes REUNION and LIVE IN TOKYO; Natalie Coles UNFORGETTABLE, TAKE A LOOK, STARDUST, ASK A WOMAN WHO KNOWS and STILL UNFORGETTABLE; on Frank Sinatras DUET recordings as well as on a number of Rosemary Clooneys recordings for the Concord Jazz label. Other CD recordings are with Michael Feinstein, Liza Minnelli, Marni Nixon, Diane Schuur, Melissa Manchester, Joao Gilberto, Dr. John, Johnny Mathis, Michel LeGrand, Paul McCartney, Kenny Rogers, Bob Dylan, Frank Zappa, Stevie Wonder, Cristina Aguilera, Michael Boulton, Maynard Ferguson, Bette Midler, Vanessa Williams, Paul Anka, Prince, Barry Manilow, Dionne Warwick, Manhattan Transfer, Ray Anthony, Vince Gill, Diana Krall, Rein de Graaff, Wesla Whitfield, Linda Ronstadt, Robbie Williams, Lucie Arnaz, Ricky Lee Jones, Maureen Dechter, Steve Lawrence, Nina Simone, Tierney Sutton, Quincy Jones, Michael Buble, Susan Krebs, Lorraine Feather, Matt Dusk, Frank Sinatra Jr., Andy Williams, Mary Haskell, Debby Boone, Jane Monheit, Renee Oldstead, V.R. Smith, Madeline Peyroux, Russell Watkins, Sue Raney, Leslie Lewis, Thomas Quasthoff, Don Shelton,Melody Gardot, Michael Jackson, Placido Domingo and Glenn Frey. Solo jazz recordings include: KANSAS CITY CONNECTIONS, SUBCONSCIOUSLY, and GRAND CRU CLASSE (Revelation Records); IMAGINATION and BEAUTIFUL FRIENDSHIP (RCA Japan); WARNE MARSH MEETS GARY FOSTER (Toshiba-EMI) and STARBRIGHT and WHOSE WOODS ARE THESE? with Clare Fischer on Discovery. Other solo jazz recordings include MAKE YOUR OWN FUN and LIVE at MAYBECK HALL  DUO with ALAN BROADBENT on Concord Jazz; the JAZZ AT THE MOVIES BAND recordings (5) on Discovery, JAZZ AFTER MIDNITE on JVC, BODY & SOUL WITH LEE KONITZ (a tribute to Warne Marsh) on Insights-Japan, THE MUSIC of REED KOTLER with BOBBY SHEW, MENTOR and PLAY IT WHERE IT LAYS with KERRY STRAYER and ITS ABOUT LOVE (Reed Kotler) a quartet with BILL CUNLIFFE. Recent releases are: PERFECT CIRCULARITY with PUTTER SMITH and WHATS IN THE BOX-THE MUSIC of JIMMY WYBLE with LARRY KOONSE. From the late 1960s to present Gary has been a member of several hundred live and film television orchestras. Gary has performed with the Los Angeles Philharmonic, the L.A. Chamber Orchestra, the L.A. Master Chorale, the L.A. Opera Orchestra and the Hollywood Bowl Orchestra. Valuable Player Award for woodwind doubling from The National Academy of Recording Arts and Sciences. From 1971 to 1991, Gary was conductor of the jazz ensemble at Pasadena City College. 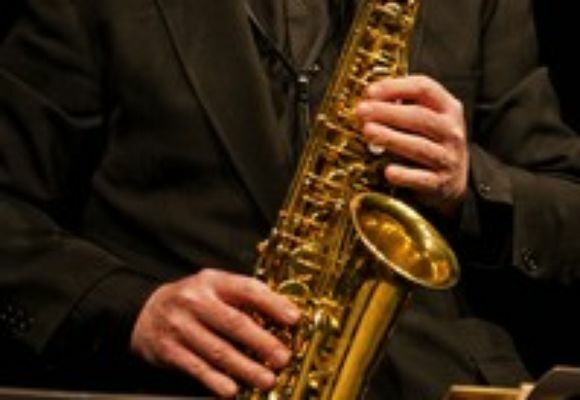 From 1984 through 2000, Millsap visiting professor of Saxophone at The University of Missouri at Kansas City and from 1997 to 2000, professor of saxophone at UCLA. Gary has performed on more than five hundred motion picture soundtracks. Recent films include: BATMAN and ROBIN, A BUGS LIFE, ANALYZE THIS, TRUE CRIME, INSPECTOR GADGET, SOUTH PARK, THE PATRIOT, THE EMPERORS NEW GROOVE, WHAT WOMEN WANT, PEARL HARBOR, MONSTERS INC., JAY and SILENT BOB STRIKE BACK, DEATH TO SMOOTCHY, ICE AGE, THE SECRETS OF THE YA, YA SISTERHOOD, MASTER OF DISGUISE, BLOOD WORK, FAR FROM HEAVEN, AGENT CODY BANKS, TEN WAYS TO LOSE A GUY, CHICAGO, CATCH ME IF YOU CAN, PIGLETS BIG MOVIE, ALEX and EMMA, LEGALLY BLONDE II., ELF, DUPLEX, CAT IN THE HAT, SURVIVING CHRISTMAS, HAUNTED MANSION, SIDEWAYS, ARE WE THERE YET?, MISS CONGENIALITY II., MEET THE FOKKERS, TARZAN II., RUMOR HAS IT, FOUR BROTHERS, GLORY ROAD, ZATHURA, IDLEWILD, EVERYONES HERO, HAPPY FEET, MR WOODCOCK, LEATHERHEADS, HES JUST NOT THAT INTO YOU, OLD DOGS and THE PRINCESS and the FROG.